Hearing that the number of entry-level farmers has fallen 30% since 1987, we wanted to create a way to attract new entrepreneurs to the field of agriculture (pun intended) by showing how profitable it can be. 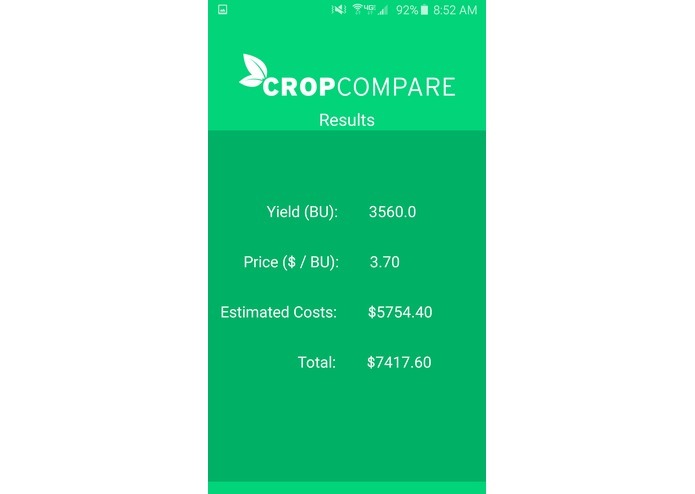 CropCompare provides quick access to USDA data, allowing new farmers and people considering farming as a profession to get an idea of the estimated yield, overhead costs and profits from different crops. 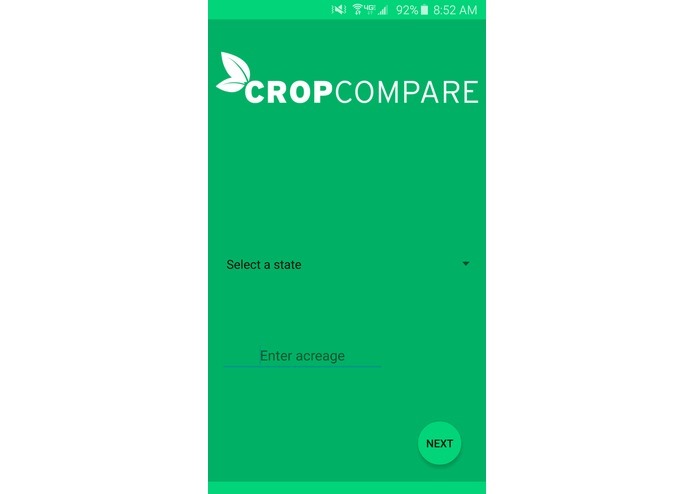 CropCompare would also be useful in urban farming applications, as it would allow people with a limited growing area to maximize their crop yield. 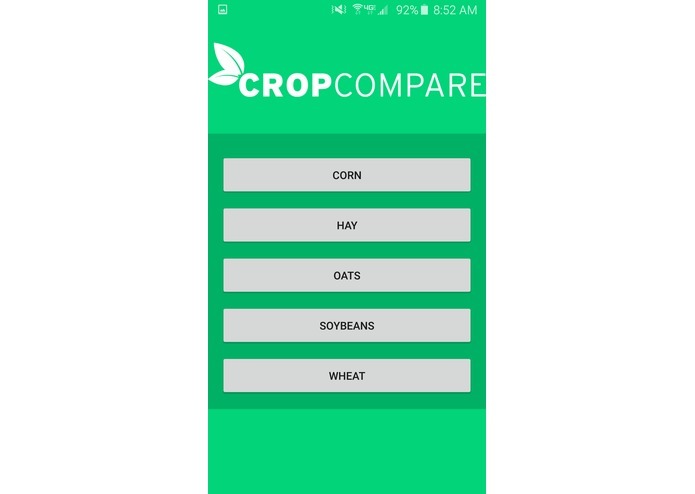 CropCompare allows for an individual to get an idea of the profit they will receive from planting different crops. The profit estimate is based off the data provided by the USDA, and is calculated based off the crop yield and the estimated overhead costs, such as seed and fertilizer. An individual enters information for their state and the available acreage, then selects a crop from a list of crops typically grown in that state, and the application returns the values for the crop yield, market price per bushel, costs associated with the specific crop, and an estimated profit amount. 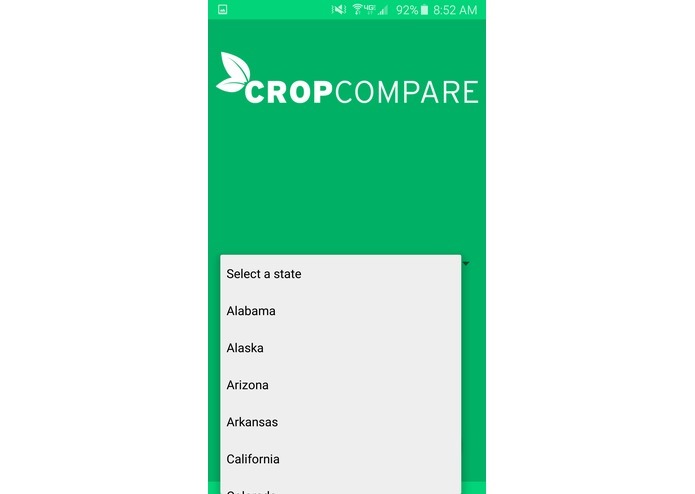 CropCompare is built for Android devices, and uses the data from the NASS USDA Farm Data Dashboard combined with additional USDA data for cost forecasts. The provided datasets proved difficult to use at first, as many category labels lacked clear definition as to what they meant from the provided documentation.